Now, Work for the Dole, what do you think about that [unintelligible]? Hitler would have loved it. Organise!, a small anarcho-communist orientated group in Adelaide, have announced they are on indefinite hiatus due to members moving away (and who can blame anyone for moving away from Adelaide?) and lack of energy to keep it going. Members continue to be active in existing campaigns and coalitions, and have expressed some interest in joining the IWW. It seems as though Adelaide is now bereft of an explicitly anarchist group. If you’re from Adelaide and interested in anarchism, you might consider posting to the Libcom Oceania forums to talk to other Australian/NZ anarchists. 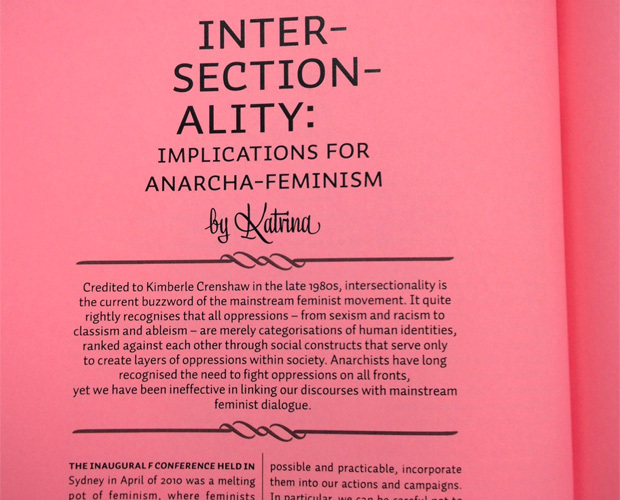 Also, check out our directory of anarchist groups in-and-nearby Australia. Mutiny #64 has hit the streets and internet and is available for download. Complicity, Traitors, Compromise and Other Media Interactions by Nick A. This engagement is often met with understandable concern, interest, derision and sometimes outright hostility. In this article then, I explore some of the tensions associated with media interaction by looking at a few brief examples. I conclude by suggesting that outright rejection of all interaction with corporate media limits some opportunities to reach a wider audience. During the height of the Greek revolt in December 2008, a proposal was put forward at an anti-authoritarian/anarchist assembly in Exarchia, Athens: interrupt a major news broadcast by storming the studio, unfurl political banners, and then escape triumphantly into the streets. The proposal was generally not supported. Some raised fears that this protest would ultimately serve the advertisers whose product appeared after the political action. Others were concerned that such an action would contribute to the spectacle of the mass media; where instead of living actual experiences, viewers watch representations of their life on t.v. and in doing so become politically neutralized spectators. And yet others were furious that comrades would want anything to do with the dogs of the mass media – they argued that any engagement with the mass media signalled nothing less than complicity with capitalism, the state, and corporate media. Everyone get out in the streets, Freedom to the Prisoners of the Insurrection and Freedom to Everyone. With the desired goals of the action met, the activists fled the building before the cops had a chance to finish their donuts. I provide this short anecdote as a way of universalising some of the tensions associated with media interaction. Whether it is in the advanced anarchist milieu of Athens or – as I will shortly discuss – in Sydney, interactions with capitalist and state-owned media are everywhere fraught with complex political issues and are sources of tension. Sedition, a joint publication between MAC, Jura and Organise!, was launched last night at MAC. You can download it by going to the following permalink: anarchy.org.au/sedition. 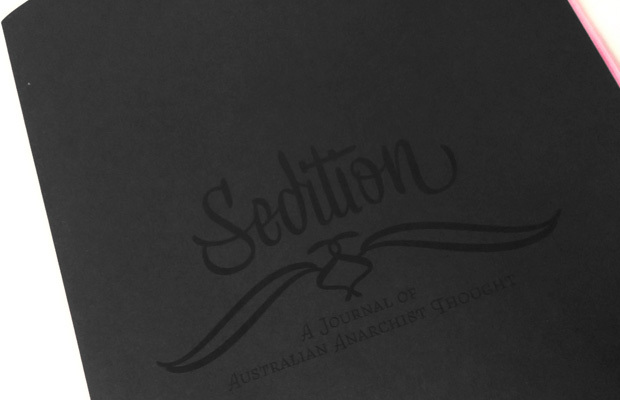 Sedition will be launched in Sydney on Saturday March 10 at Jura Books from 3pm. Any future editions will also be posted there. We will also publish some of the articles on this site over the coming weeks.